Fly box chaos is real. You start out nice and organized, with pretty little rows, and then the Law of Entropy kicks in. Next thing you know, your fly box looks like a tossed salad. 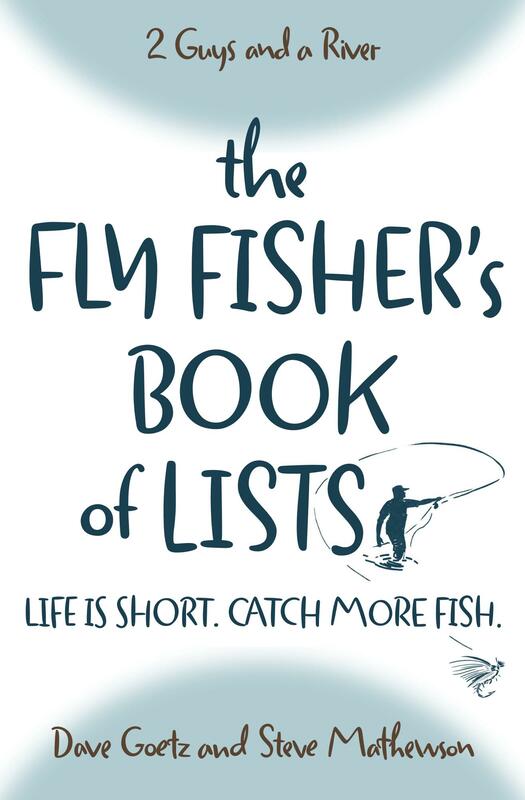 In this episode, we interview Peter Stitcher, with Ascent Fly Fishing. Peter has come up with a simple but biologically organized method for making sense of your fly box. Peter is a legit biologist, and his solution is briliant. By the way, Peter has given our listeners a discount on his “Creating Order in Your Fly Box” film to help you implement his approach. Scroll down to get your promo code. $5 off Peter’s Film on “Creating Order in Your Fly Box”. Visit River Oracle or Ascent Fly Fishing and enter the code “2GUYSANDARIVER.” You can also rent or buy the film at http://watch.riveroracle.com/. By the way, we (Steve and Dave) receive no financial benefit from your purchase of Peter’s film in any way. This is simply Peter’s gift to you. At the end of each episode, we often include a feature called “Great Stuff from Our Listeners.” It’s the last segment of each episode, where Steve reads one of the comments from our listeners or readers. We enjoy hearing from you, and appreciate your advice, wisdom, and fly fishing experiences. Does Peter’s method make sense? How do you simplify your fly box? How many flies do you carry out on the river? What is your biggest frustration with managing your flies? Good podcast, especially the part about doing some onstream research. His comments are great IF you’re the sort of person who can confine themselves to just one fly box. I have a better system: a box for larva, segregated by type; a fox for pupes, mostly organized by swimmer, drifters, and ones that attach [if you’ae limited by space or money, you can also put emergers in that lot or the next]; and a box for adults (dries) of the major classes. Then you’ll need something for classic wet flies – put transactors in there because most “classic” wet flies are essentially that: transactors. Don’t forget a streamer box with attract0r streamers that might be called minnow patterns and don’t be caught on any water without some sort of bugger barn for holding all different colors & sizes of our woollies. I’ve taken to making my own boxes by just spray painting the outsides of small tins and gluing in cork or material that will hold a barbless or barbed hook. Cheap and easy. Hell, I’ve got an old hinged Altoids tin that now gets its second life by holding every variation of Prince known to woman or man (you can make a lot of variations on “The Prince”). Yes, I can whittle down my arsenal to just what I think will work best on a given stream at some season: the so-called “Day’s Worth”. They go in a small (floating) pill bottle white a spray painted top easily labeled with a black sharpie. Fir this latter collection I can then use the same black sharpie pen to date the bottle before I put it on the shelf in my fly area for future reference. As the young people so often put it, Just Sayin’!